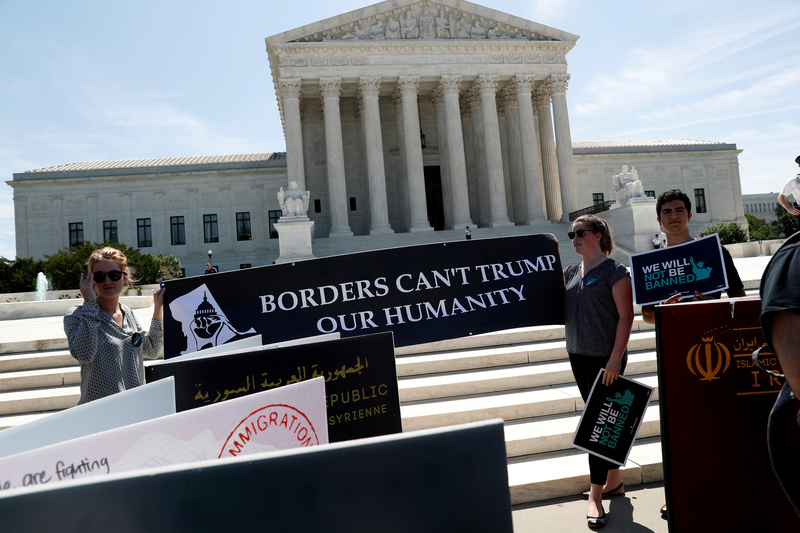 The U.S. Supreme Court appeared closely divided Wednesday over the federal government’s power to detain criminal aliens after their release from prison. The lead plaintiffs in Wednesday’s case were Mony Preap and Bassam Yusuf Khoury, two lawful permanent residents who served prison sentences for drug offenses. Several years after their release, federal immigration authorities detained them without bail pending deportation proceedings. The American Civil Liberties Union challenged Preap and Khoury’s detention, arguing that the law requires the government to seize criminal migrants as soon as they are freed from custody, not months or years after the fact. The 9th U.S. Circuit Court of Appeals sided with the migrants, so the Trump administration then appealed to the Supreme Court. Federal law provides that immigration authorities should detain aliens convicted of particular crimes “when the alien is released” from custody. Preap and Khoury lead a class of similarly situated migrants. The case is the latest dispute at the high court between the Trump administration and civil rights groups fighting its immigration policy. The 9th Circuit previously held that detained migrants awaiting deportation are entitled to a bail hearing every six months. The Supreme Court reversed that decision in February. Justice Neil Gorsuch was troubled at the prospect of detaining aliens without bail decades after their release and grew frustrated as the government’s lawyer, Zachary Tripp, evaded questions from him and Justice Stephen Breyer on this point. “Is there any [time] limit on the government’s power?” Gorsuch asked. Though Gorsuch also asked tough questions of ACLU lawyer Cecillia Wang, his exchanges with Tripp and past writings suggest his vote may be in play for the ACLU. Breyer floated a compromise, suggesting the government could seize criminal aliens within a reasonable time of their release. Chief Justice John Roberts seemed interested in this possibility, though both Tripp and Wang rejected this alternative. “That raises a real question for me about whether we should be superimposing a time limit into the statute when Congress, at least as I read it, did not itself do so,” Kavanaugh said, noting that Congress understood federal immigration authorities would not immediately seize criminal aliens on their release when the law was adopted. Kavanaugh heard his first arguments as a Supreme Court justice on Tuesday, sitting for a pair of cases involving sentencing rules. Immigration authorities often do not learn of a criminal alien’s release for long stretches of time — Tripp said the government sometimes learns of an alien’s release when they are arrested for a separate offense. In that vein, Justice Samuel Alito noted that so-called sanctuary cities can prevent the government from learning of a migrant’s release by concealing information. “California is not going to tell the federal government, ‘look, we’re releasing this person and this person is an alien, not a citizen, and this is what the person was convicted of,'” Alito said. The case, Nielsen v. Preap, will be decided by June.